Ethernet today is a given, having become a dominant force in the world of networking. In fact, as technology has evolved, Ethernet has evolved into the foundation for most networking communications today. In the first of a three-part series on Ethernet, we’ll look at its origins and its evolutionary progress. Necessity is the mother of invention. 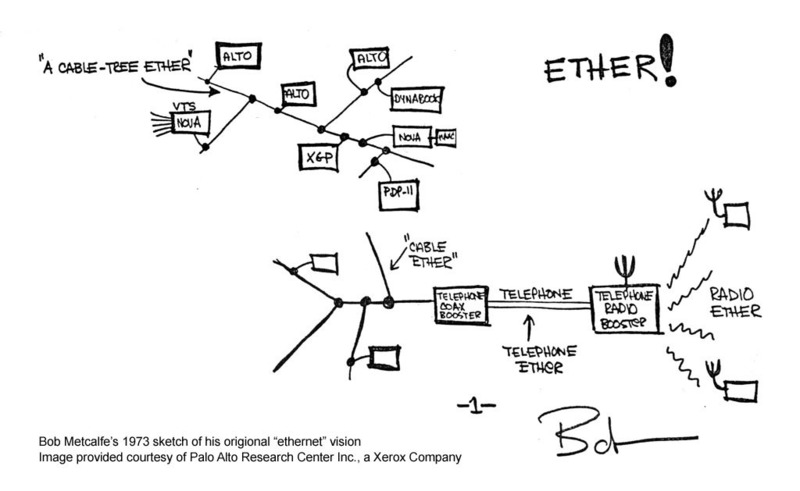 When Bob Metcalfe came up with what would become Ethernet, he didn’t have any grand design for transforming networking. He just wanted to share access to a printer from a pool of computers. That was in 1973, when Metcalfe was working at Xerox PARC. 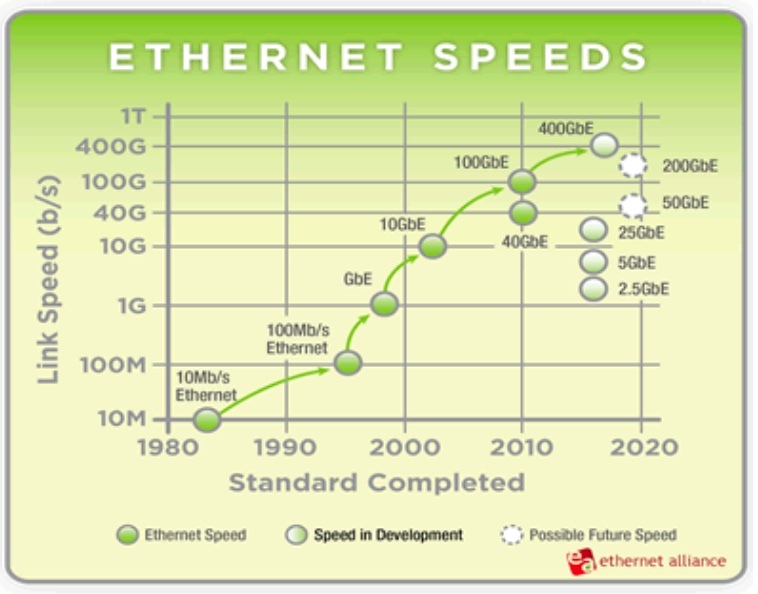 Over the past 40+ years, Ethernet has transformed and adapted to be much more than that. In fact, the internet as we know it would not exist without Ethernet. Based on Metcalfe’s original idea, the link speed operated in the first Xerox PARC implementation was 3Mbps on a shared coaxial media. The path to a broad acceptance and mass deployment was secured in 1983 when an IEEE workgroup was set. This workgroup is called 802.3 and is responsible for the standardization of optical fiber and copper media for various link speeds. Figure 3shows the standardization timeline initiated by the 10Mbps link speed in 1983 evolving through 100Mbps, GbE, 10GbE, 40GbE, 100GbE to 400GbE including future 50GbE and 200GbE speeds. Historically, the technologies deployed in the different Ethernet generations have been reused from other standards as with the Fiber Channel for the GbE generation. 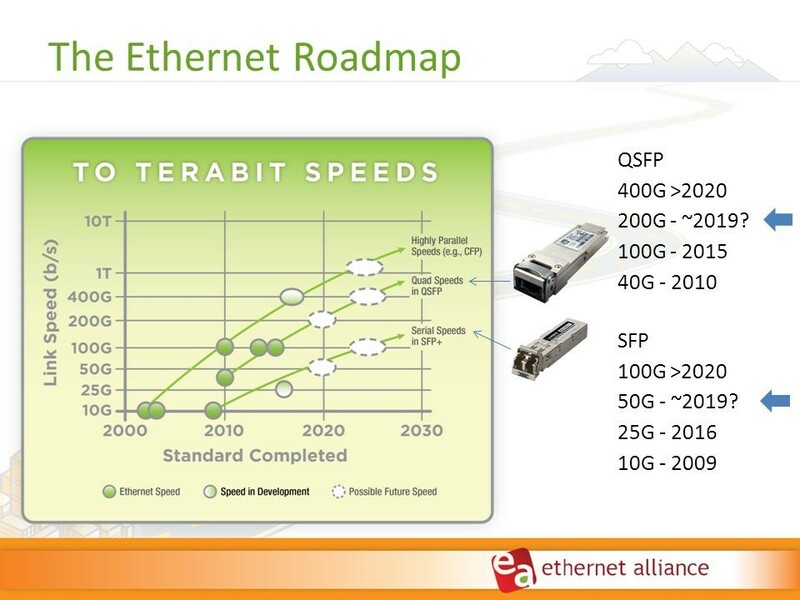 When 40GbE was standardized in 2010, it marked the beginning of a new epoch in the Ethernet ecosystem, as it broke the previously applied “rule” that the next generation link speed was 10x the previous speeds. The 40GbE standard simply deployed the already available 10Gbps transceiver technology from 10GbE on four channels, marking the beginning of the QSFP track QSFP -> QSFP+ -> QSFP28 ->. To learn more about QSFP, see Figure 4. In 2015, the four-channel 100GbE standard was introduced, creating the need to develop new 25Gbps transceiver technology. This was deployed for the first time with the CFP4 form factor and later in the QSFP28. Ethernet had become an IEEE standard by 1985. It was a major change for IEEE to deviate from the previous 10x link speed increase between neighboring link speed standards, but this was nothing compared to what was to come. With the introduction of the new 25Gbps transceiver technology, major players representing the full value chain from the device vendors to service providers formed an industry consortium promoting the use of the new 25Gbps transceiver technology in a single channel 25GbE Ethernet standard. They also promote a dual channel 50GbE Ethernet standard (see Figure 5 below). 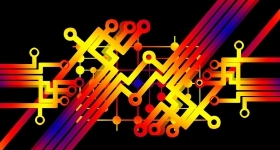 The clear ambition with the new initiative was to bypass the IEEE bureaucracy and quickly “help themselves” to low-cost technology that, by simple means, would increase the bandwidths of existing datacenter fiber infrastructure. A truly revolutionary move that has never been seen before in the Ethernet “universe” and has been an eye-opener for IEEE. Part two of this series will discuss the longevity and upgradability of future-proof FPGA platforms.